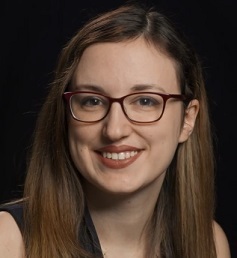 Management Team - Eden I&R, Inc.
Alison DeJung became Eden I&R’s Executive Director in January 2017. Prior to assuming this role, Ms. DeJung was the agency’s Deputy Director for three years and then served in a consulting capacity for a year. As the Executive Director, Ms. DeJung provides leadership and overall management for the agency’s programs, policies, personnel, board development, community relations, and the $2 million annual operating budget. Ms. DeJung has more than 20 years of experience in the nonprofit sector. Her breadth of skills includes fundraising, financial analysis, strategic planning, grantmaking, and program implementation. 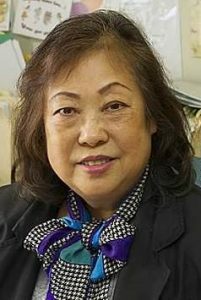 During Ms. DeJung’s career, she has nurtured strong working relationships with program directors, government department heads, elected officials, media representatives, funders, and other stakeholders. Prior to working at Eden I&R, Ms. DeJung spent the bulk of her career in philanthropy. She held positions at the Stuart Foundation; The Women’s Foundation of California; the Richard and Rhoda Goldman Fund; the Marin Arts Council; and The California Wellness Foundation. 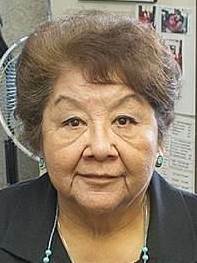 Ms. DeJung holds a BA in Political Science from the University of California at Davis, and a Master of Nonprofit Administration from University of San Francisco. 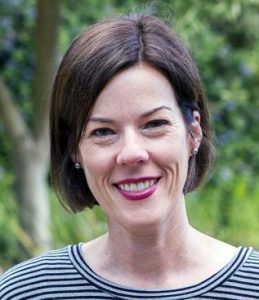 Natalie Tercero joined the team as Deputy Director at Eden I&R in May 2018 and brings over 20 years of experience working with at-risk populations in low income communities in the Bay Area. She has extensive knowledge of program development and implementation, WIOA policies and procedures, youth development, and public benefits eligibility. Prior to coming to Eden I&R, Ms. Tercero single-handedly launched an innovative Single Stop program at JobTrain in Menlo Park and made it a national model sight with 20% growth year to year, helping low-income individuals and families gain access to public benefit programs such as CalFresh and Medi-Cal, and other supportive services such as free tax preparation, financial counseling, wellness, and legal services. As a result, she received numerous recognitions, including California’s statewide Freshy Award, for Best Outreach Professional. 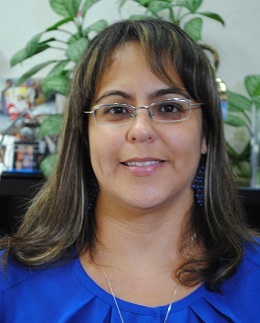 A first generation college student, Ms. Tercero holds a Bachelor’s degree in Sociology from San Francisco State University; a Master’s degree in Education and Human Development from George Washington University; and a Certificate in Non-Profit Management from Golden Gate University. 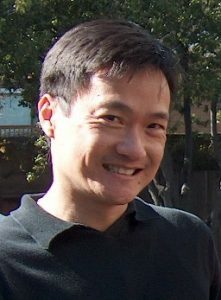 Harry Yuen is responsible for the fiscal operations of the agency. He oversees the day-to-day financial operations of the agency such as payroll, accounts receivable and accounts payable, and his monthly duties include billing, reconciliation and reporting financial statements. Mr. Yuen has been with Eden I & R for more than 5 years. Prior to coming to Eden I & R, Mr. Yuen served as a Senior Accountant for Volunteers of America Bay Area, Inc. and has over 26 years of financial work experience. Mr. Yuen holds a Bachelor of Science degree in Business Administration with an emphasis in Accounting from California State University Hayward, Hayward, California. 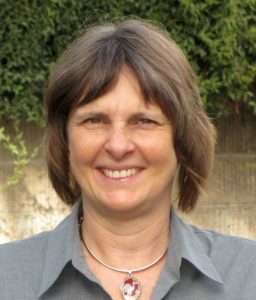 Catherine joined the team at Eden I&R in May 2018. She brings nearly 10 years of experience working in nonprofit communications and fundraising to her role. Most recently, Catherine served as the Director of Communications & Education for Hospice Caring, Inc., in Gaithersburg, MD, where she grew the organization’s visibility and capacity, and established a new Community Education program. Prior to that, Catherine worked in nonprofit communications at Bradley Hills Presbyterian Church in Bethesda, MD and Jewish Family Service in Cincinnati, OH. Catherine is a proud AmeriCorps alumna who completed a year of service answering the Hunger Lifeline at the Capital Area Food Bank in Washington, DC. She holds a degree in Public Relations from Xavier University in Cincinnati, OH and is a graduate of the Leadership Montgomery, MD Emerging Leaders program. Nhan Young has been with Eden I & R since 1985. She currently oversees Eden I & R’s operations and human resources functions. She prepares contract bids and monitors compliance. She also manages the agencies translation program. Prior to serving in her current role as Operations Director, Ms. Young was the agency’s Translation Services Manager and in that role supervised translators for the 9-1-1 translation program and after-hours emergency programs for Alameda County. Ms. Young holds a French Baccalaureate Degree from “Couvent Des Oiseaux” and a Vietnamese Baccalaureate from Ministry of Education, Vietnam. Sharan Aminy is responsible for the 2-1-1 Program service delivery and supervises a team of Phone Resource Specialist trained to deliver information and referrals to 2-1-1 Alameda County callers. She monitors the quality assurance aspects of 2-1-1’s services. She is responsible for ongoing staff development and training as well as weekly in-service meetings, where representatives of community agencies are invited to educate and inform the 2-1-1 team of their agency programs and services. Ms. Aminy serves as a liaison between external agencies and Alameda County residents; helping connect the latter to services offered by the former such as free tax assistance. Ms. Aminy has worked in the human services field primarily with children and families in the area of family preservation and child abuse prevention. Ms. Aminy has been the Coordinator/Administrator of Another Road to Safety and Paths to Success, child abuse prevention and family preservation programs at La Familia Counseling Service and the Healthy Start Coordinator as well as the MAA Coordinator at Hayward Unified School District. Ms. Aminy hold a Bachelor’s Degree in Anthropology from the College of Letters and Science, UC Berkeley. She is working on a M.A. at Cal State East Bay. She is a sculptor, using a ceramic medium and an artist member of The Frank Bette Center for the Arts, Alameda. As a seasoned professional of housing resources in Alameda County, Ms. Glassoff serves as Housing Coordinator in the Eden I&R Housing Department. She oversees the ongoing development and maintenance of the housing resources database and maintains and fosters relationships with property managers, landlords, developers, community-based organizations, and other stakeholders. Prior to this position Ms. Glassoff served as the Roving Supervisor where she developed a program to provide information and referral as well as case management services to homeless individuals and families with the purpose of obtaining permanent or transitional housing. She created, coordinated, and presented workshops to homeless individuals and families with a focus on affordable housing throughout Alameda and Contra Costa Counties. As part of the Roving Program, she also served as HUD VASH Veteran Housing Specialist for Contra Costa and Solano Counties. Prior to joining the agency, Ms. Glassoff worked for Doyle Dane Bernbach, as an advertising media buyer and account executive, and at Oakland Unified where she trained primary level students in reading comprehension through the Brown-Campione Research project at U.C. Berkeley. Ms. Glassoff holds a Human Services Certificate from Merritt College and a BA in Ethnic Studies from Cal State East Bay and has been with Eden I&R since 1996. CeCe has been office Administrator/Resource Specialist for 20 years. She is responsible for general office management and training volunteers in general office management, customer service; and provides information on Eden I&R programs to the public. CeCe’s past work experience has been Bookkeeper/ Administrative Assistant; and Director of Intertribal Friendship House, Oakland; Administrative Assistant to the Finance Officer, American Indian ChildResource Center; Bookkeeper/Administrative Assistant American Indian Lawyers Training Program; Office Administrator Oakland Parent Child Resource Center. CeCe has studied at Heald, Merritt and Laney Colleges for an Associate Degree in Child Development Education and Accounting. Rick joined Eden I&R in February 2014. He brings 25+ years of experience in the technology field to the organization, and has previously worked at Hewlett-Packard, the Sequoia Union High School District, the San Francisco Opera, and Catholic Management Services. 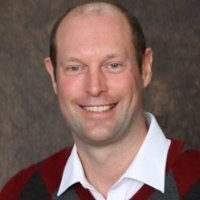 He is ITIL certified, a certified Chief Technology Officer, and has an MBA from San Jose State. In addition to the administration and development of Eden I&R’s databases and websites, he is responsible for the management of the Information Services and Technology departments. Under Rick’s guidance, the organization has transitioned from local onsite databases and technology infrastructure to an internet based environment…positioning Eden I&R to more widely and openly exchange data as well as more effectively respond in the event of a community wide disaster.